^ a b Gilman, D. C.; Peck, H. T.; Colby, F. M., eds. (1906). "Forster, Georg" . New International Encyclopedia (1st ed.). New York: Dodd, Mead. 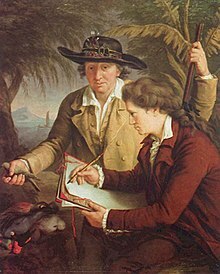 Carsten Niebuhr or Karsten Niebuhr, a German mathematician, cartographer, and explorer in the service of Denmark, is renowned for his participation in the Royal Danish Arabia Expedition (1761-1767). He was the father of the Danish-German statesman and historian Barthold Georg Niebuhr, who published an account of his father's life in 1817. Johannes von Müller was a Swiss historian. Johann Gottfried Herder was a German philosopher, theologian, poet, and literary critic. He is associated with the Enlightenment, Sturm und Drang, and Weimar Classicism. Like Lessing, Goethe and Schleiermacher, in many respects, Herder was a Spinozist. Johann Reinhold Forster was a Reformed (Calvinist) pastor and naturalist of partially Scottish descent who made contributions to the early ornithology of Europe and North America. 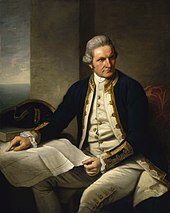 He is best known as the naturalist on James Cook's second Pacific voyage, where he was accompanied by his son Georg Forster. 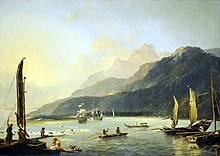 These expeditions promoted the career of Johann Reinhold Forster and the findings became the bedrock of colonial professionalism and helped set the stage for the future development of anthropology and ethnology. They also laid the framework for general concern about the impact that alteration of the physical environment for European economic expansion would have on exotic societies. Anders Sparrman was a Swedish naturalist, abolitionist and an apostle of Carl Linnaeus. 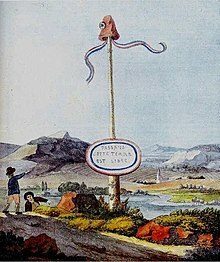 Adam Lux was a German revolutionary and sympathiser of the French Revolution. Samuel Thomas von Sömmerring was a German physician, anatomist, anthropologist, paleontologist and inventor. Sömmerring discovered the macula in the retina of the human eye. His investigations on the brain and the nervous system, on the sensory organs, on the embryo and its malformations, on the structure of the lungs, etc., made him one of the most important German anatomists. The Republic of Mainz was the first democratic state on the current German territory and was centered in Mainz. A product of the French Revolutionary Wars, it lasted from March to July 1793. Therese Huber was a German author. She was one of the so-called Universitätsmamsellen, a group of five academically active women during the 18th-and 19th century, daughters of academics on Göttingen University, alongside Meta Forkel-Liebeskind, Caroline Schelling, Philippine Engelhard, and Dorothea Schlözer. The Tanna ground dove, also known as Forster's dove of Tanna, is an extinct dove species. Its taxonomic affiliation is uncertain but at its first scientific discussion by Johann Georg Wagler in 1829 it was classified into the genus Gallicolumba ; its closest relative is possibly the Santa Cruz ground dove. It was endemic to the Pacific island of Tanna, Vanuatu. Forster records a native name mahk, almost certainly from the Kwamera language. Karl or Carl Richard Lepsius was a pioneering Prussian Egyptologist and linguist and pioneer of modern archaeology. Friedrich Casimir of Hanau was a member of the Hanau-Lichtenberg branch of the House of Hanau. He was the ruling Count of Hanau-Lichtenberg from 1641 and of Hanau-Münzenberg from 1642. Georg Christian Lehms was a German poet and novelist who sometimes used the pen-name Pallidor. He published poetry, novels, libretti for operas, and the texts of cantatas. Severus Gastorius (1646-1682) was a cantor in Jena, Thuringia.